No More Weak Passwords For You! Home > Blog > No More Weak Passwords For You! There are many ways to protect one’s privacy on the Internet, and one of them involves the individual using strong passwords. They are considered as the seatbelts of the cyber security world. Yes, it is true that there is a wide variety of security tools out there, but they can only do so much to keep you safe from the risks you encounter on a day-to-day basis. 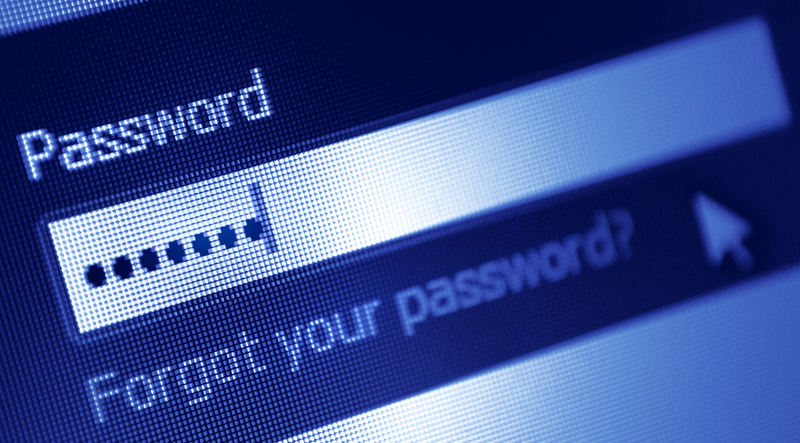 It is about time that you re-evaluate the strength of the current passwords you are using. Let’s begin by taking a look at SplashData’s annual Worst Passwords List. Apart from non-hardened configurations and outdated software versions, weak passwords are also a major cause of cyber security breaches. They are like cheap locks that are easy to break. Once the door is breached, cyber criminals can steal just about anything. The usage of weak passwords is not just common among casual Internet users, but are also an issue that is unfortunately common in businesses. The problem is amplified in small companies because passwords are usually and regularly shared between colleagues. If your team members, employees, etc., has poor password hygiene, this is a risk you should not ignore. You see, small business security is only as good as the passwords that are currently being used to protect the online accounts and computers that your personnel utilize. Cyber security is essential for businesses of all sizes, whether you own a small business or a Fortune 500 company. Today, more business activities are being facilitated in the cloud, over networks, and on computers. Businesses and their owners can no longer ignore the potential threats that they face. Businesses can make their lives easier by using password vaults (or password managers) for password storage, which in turn makes them available across all their devices in a secure manner. They also have the ability to help you automatically fill out web forms and generate random and long passwords for you. The best thing is that you do not have to bother trying to remember them. A typical password that you get may look something like “GA=(gMaOK39k>pf0)},” which is very strong. Yes, the password above looks weird but it is pertinent that they possess some extra-special oomph to be able to resist those nasty hackers. That’s why you will see special characters being used for the task. For example, the letter S will be substituted with the $ symbol, and things like @, &, and % will be added in random places. If you can only do a few things to improve your online privacy and security this year, you should start strengthening all of your passwords and get a good password manager or vault.